One of the greatest Indian physicist Sir Kariamanickam Srinivasa Krishnan was best known for his co-discovering of Raman Scattering alongside his mentor C.V. Raman, who got Nobel Prize for the discovery in 1930 was always full of sheer hard work and talent. Famous Krishnan Banerjee method was also discovered by him. Sir Kariamanickam Srinivasa Krishnan was born on 4th Dec 1898 at Watrap located in Tamil Nadu, India with a birth name Kariamanickam Srinivasa Krishnan Iyengar. His father was a scholar and farmer at the same time who had very deep knowledge of Sanskrit and Tamil literature. Krishnan’s first school was Hindu Higher Secondary school located at his village Watrap. Later the down to earth genius studied at the American College in Madurai and Christian college located in Madras. He got the degree in physics there and became a teacher at his childhood school Hindu Higher Secondary school at Watrap. The career of Dr. Krishnan as Indian Physicist started from 1920 when he joined C.V. Raman. He engaged in the study of the experiment of light scattering at the Indian Association for the Cultivation of Science, Calcutta (now Kolkata). 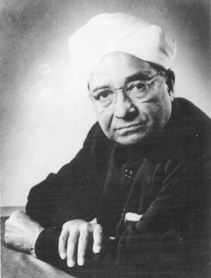 His contribution in the discovery of Raman effect was immense. As the Reader in the physics department, he moved to Dacca University in Bangladesh in the year 1928. There he studied the magnetic properties of the crystals in relation to their structure. He discovered the magnetic anisotropy of dia – and paramagnetic crystals there with some other scientists like B.C. Guha, Santilal Banerjee, and Ashutosh Mukherjee. The Royal Society of London published their invention with the name Investigations on Magne-Crystallic Action in the year 1933. For this amazing work, Krishnan is now admired all over the world. Krishnan continued his collaboration with Santilal Banerjee on his return to Kolkata in 1933. They experimented more on the magnetic properties of crystals. He was given the post of Professor of Physics in the Indian Association for the Cultivation of Science. His contributions are published is a lot of journals and are read and admired worldwide. The magnetic susceptibility of small crystals is measured by Krishnan Banerjee method, a process which is sheer hard work of Dr. Krishnan and Santilal Banerjee. Krishnan was drawn to politics once but was corrected by Bidhu Bhushan Ray, who was a friend of Krishnan. He also told Krishnan not to leave experimenting in science at any cost as he was doing great in that field. The way to serve the country is not only politics but to show the world that we are not behind in science and our inventions can make ourselves immortal too. He became the Head of the Department of Physics at the Allahabad University in 1942. The expertise in physics and sheer hard work has led Dr. Krishnan to a lot of rewards. He was selected as The Fellow of the Royal Society in 1940, which is a great honor for every scientist. He got the Knighthood in 1946. The government of India gave this great personality Padma Bhushan in 1954. Dr. Krishnan was the first person to receive the prestigious Bhatnagar Award in 1958.